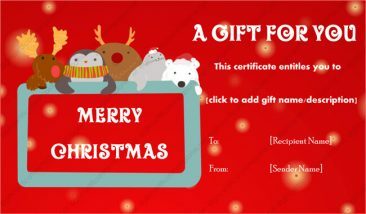 Christmas is right around the corner, and that means it’s time to shape up your gift list, and do it fast. 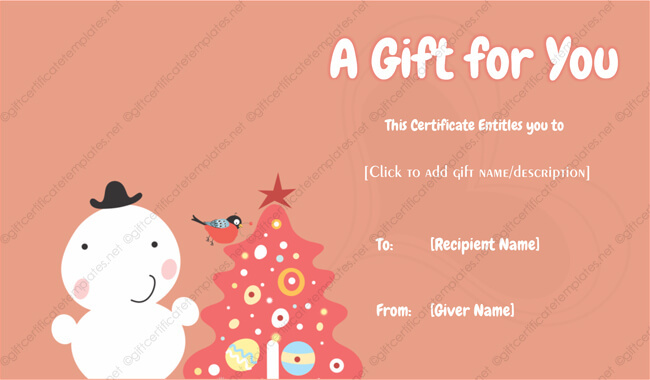 For those of you who have yet to get your stocking stuffers in order, much less your gifts purchased, then the Christmas Gift Certificate Template is for you. 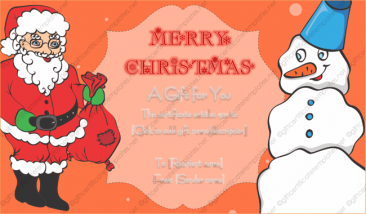 This delicate and sweet template in light cranberry pink, is sure to make someone’s holiday a memorable one. 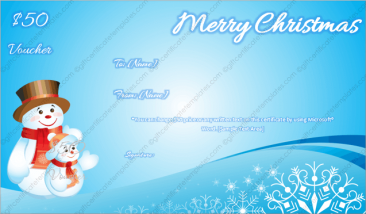 The template shows a most happy snowman, along with a friendly bird, standing next to a decorated Christmas tree wishing you the good tidings of the season, Merry Christmas and a Happy New Year. 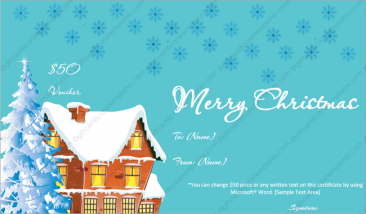 Our Christmas Gift Certificate Templates are completely customizable using Microsoft Word. 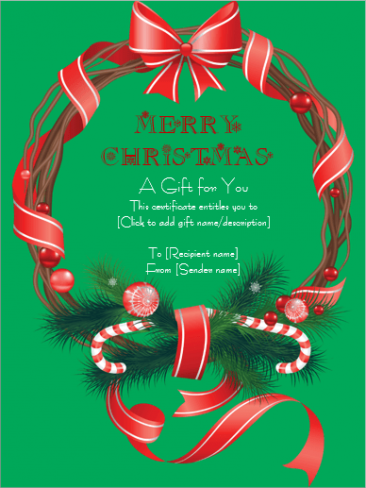 Simply download the template, edit it and print it out. Feel free to print one, or as many as you may need. Indeed, a most wonderful way to not only wrap up some quick stocking stuffer gifts, but also show those you care about how much they mean to you.